The blogosphere blew up with review after review of this facial oil. Early adopters boasted its 22 plant-based ingredients and unicorn ancestry. And of course, the now-infamous ITG headline got beauty junkies everywhere reaching for their credit cards. Clearly, I can only be talking about Vintner’s Daughter Active Botanical Serum. When a single product is that talked up — and seems to come out of nowhere — I can’t help but be skeptical. A quick glance at the ingredients list shows a beautiful collection of both familiar and more exotic botanicals. But as spoiled as we are in the green beauty world, this is now the standard, not the exception. What I couldn’t see in the reviews and social media chatter, though, were two things that set this facial oil apart from the rest: texture and formulation process. These two things eased the skeptic in me. Let’s start with my immediate first impression: Texture. At first application — a full 8 drops of this sunny yellow oil — I let out an audible “oh wow” as I pushed and pressed it into my skin. I am well aware that in the beauty writing world, we overuse texture descriptors such as silky, velvety, dewy and other -y words. But truly, Vintner’s Daughter Active Botanical Serum feels like no other oil I have felt before. It’s not heavy, which is surprising given the number of carrier oils used in the blend (grapeseed, hazelnut, avocado, evening primrose, rosehip, sea buckthorn and tamanu!). Instead, it feels the way a dimethicone-based product would feel, but without that plastic-y primer texture; it slides on, sinks in and protects the skin. Speaking of protection: Vintner’s Daughter says the oil can be used both night and day, with proper sun protection (as always!) during daytime use. In my humble opinion, you should reserve this oil for nighttime use only unless you are absolutely religious about SPF and have a special set of goggles that show you exactly every inch of your skin that has been covered with this oil so that you may protect it. That’s because Vintner’s Daughter Active Botanical Serum contains whole-plant, photo-sensitizing ingredients including bergamot and lemon, with bergamot being extremely high on the ingredients list (No. 3 on the list See new ingredients list below). If you don’t know what bergamot smells like, you will once you sniff this oil! (Hint: It’s like a deeply layered lemon / lime / orange). These two ingredients are incredible for brightening the skin, but should not be used during the day. Just don’t risk it. Plus, you’ll make your $185 bottle last longer with once daily use. In case you’re wondering, yes, you can source non-photo-sensitizing bergamot (furocoumarin-free “FC-free” bergamot). Vintner’s Daughter follows a whole-plant philosophy, meaning nothing is removed from a plant during the oil-making process. UPDATED: Vintner’s Daughter commented on my Instagram post to say that the current packaging’s listing of ingredients is NOT in the order of high to low percentages. I’m disappointed in this, as it’s an improper label per the FDA and contradicts what we’ve learned in the green beauty community: Read your labels and know that ingredients should be listed in order of prominence. Vintner’s Daughter plans to release updated packaging and an update to its website soon. What is the driving force behind the high price point? 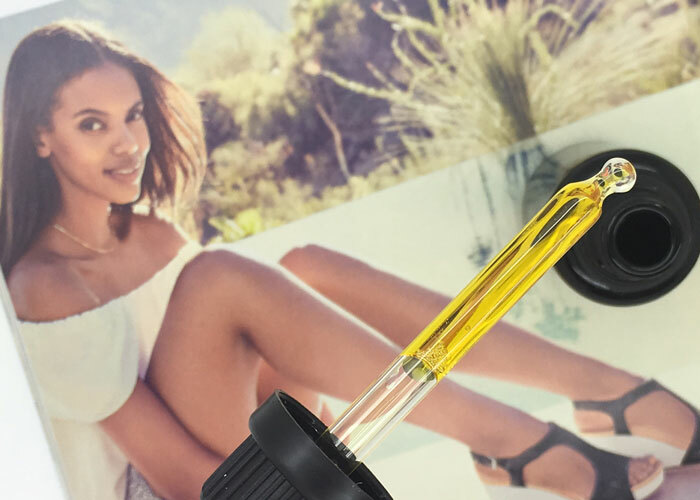 The formulation process she speaks of begins with a temperature-controlled enfleurage to gently infuse the whole-plant ingredients into the carrier oils. This intimate process takes weeks and results in a very unique blend in every bottle. I admire April’s choice to take the more challenging path to creating a standout product. I can better appreciate the high pricepoint knowing how it’s made — but that doesn’t mean anything if it doesn’t deliver results. Which leads me to what I found during my eight-week, nighttime only testing process. Vintner’s Daughter didn’t rid me of my chronic cystic acne (It’s hormonal, what can you do topically? Nothing.). But it did help calm it. The first night I used it, I had a large cystic spot on my cheek as well as a cluster of red, angry pimples and cysts along my leftside jawline. This is the area of my face that is constantly in chaos. After applying Vintner’s Daughter Active Botanical Serum and going to bed, I awoke to less-angry, pink pimples and slightly smaller cysts. I noticed the slight difference and continued on, pushing and pressing to my heart’s desire every night, and while the results were slow and steady, I can say that this oil helped my skin feel calmer. Did it immediately zap every hormonal breakout? No. Did it take my skin from red to airbrushed? No. But it did smooth everything out and leave my skin in a better state. But that was until I started to experience some non-oil related irritation. If you’re feeling any tinge of irritation or redness, be aware that applying this oil will likely cause a little sting (hi, citrus oils!). You should always be aware of what you use on broken skin, clearly, but even slight redness or heat in the skin will become more agitated when using a very active formula. So, know your skin and alternate nights if you have any irritation issues. The goal is to not burn your face off! Example: From time to time, I get dry patches on my cheeks and am prone to a little dryness from using acid toners a few times a week. If you’re experimenting with acids, you really do not need to be using them while using Vintner’s Daughter. This formula is active enough (remember, bergamot and lemon!) and takes on the brightening duty that your acids typically do. That’s the directive I follow at night when I use Vintner’s Daughter (and every once in a while, I throw in some exfoliation and a mask), and I’ve loved the experience of using it during my bedtime routine. I’m drawn to the idea of using this facial oil in the fall and winter when I could use a little extra brightening. But it’s also a brilliant year-round thanks to its unique, astringent texture (especially for combo/oily types). Vintner’s Daughter Active Botanical Serum is one I’d consider adding to my oil arsenal, but for the pricepoint, I wish I could use it as my exclusive daytime and nighttime oil. I don’t know of any plans to expand the Vintner’s Daughter line (this is the one and only product at this point! ), but might I plant the seed of creating another beautiful oil featuring zero photo-sensitizing ingredients? 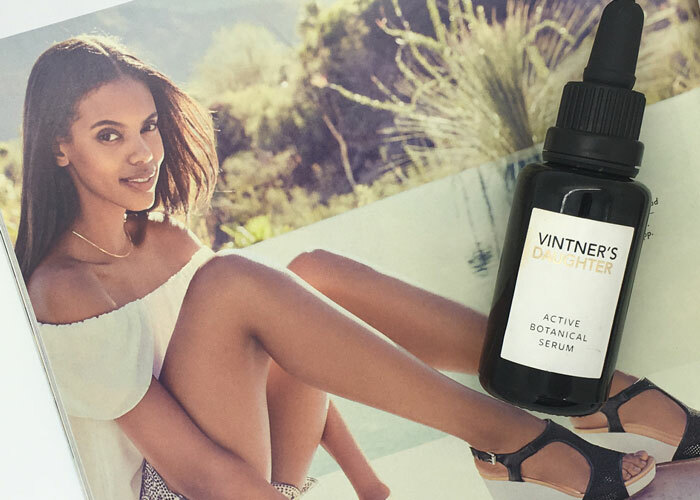 Have you tried Vintner’s Daughter Active Botanical Serum? What are your thoughts on the ingredients list and formulation process? How much would you pay for a luxury face oil? Tell me in the comments!